In August 2012, Sydor Optics shared its efforts to recycle and reuse cerium oxide polishing slurry. Two years later, the company has improved the process to save even more cerium oxide – and even more money. In September 2010, thanks to China’s rare-earth export restrictions, the cerium oxide used in optics polishing became scarce, with pricing more than tripling in a matter of months. At the end of that year, Sydor Optics began working with Flint Creek Resources to recycle spent cerium polishing slurry by removing the contaminants: glass swarf, as well as trace amounts of polishing-pad and tooling material. The recycling process involves remixing the cerium oxide particles into a concentrate so that a reusable cerium oxide slurry is available for polishing applications. Cerium slurry is seen here on the polishing machines. 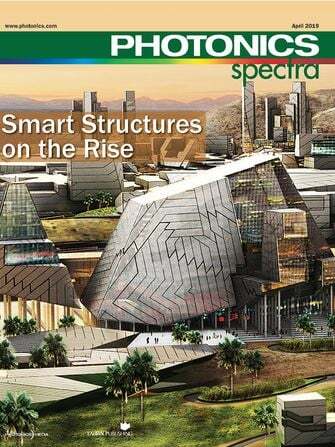 Two years later, in an article in the August 2012 issue of Photonics Spectra (“Sometimes green saves green – by accident,” pp. 37-38), Sydor wrote about its efforts to recycle spent cerium oxide polishing slurry with the objectives of overcoming the availability concerns, decreasing waste discharge and realizing financial savings. Back in 2012, the company was using 750 kg of cerium per month, with a mild savings of around 10 percent. Its recycling efforts were based on a collection efficiency of around 40 percent and reclamation efficiency near 30 percent. 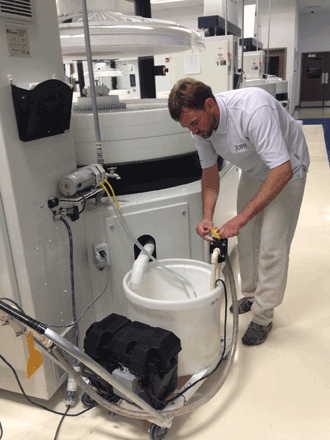 A technician works with slurry collection units. Photo courtesy of Sydor Optics. Initially, the goals centered around causing any positive effect on all three concerns: availability, waste and cost. Once the concept proved workable, Sydor and FCR developed longer-term goals for spent slurry capture, seeking to reclaim 80 percent of the cerium from spent slurry – a big increase over the 20 percent recycled cerium used in its process in 2012. Since then, the cost of cerium has dropped dramatically, by nearly 40 percent for a pail. There are no current concerns about availability, but this could change suddenly, as seen in 2010 with China’s export quota. That restriction had a considerable effect on every company in the world outside of China that polishes optics. Now, with improvements in reclamation efficiency, recycled cerium is less costly than new polishing cerium by just over 30 percent. Sydor’s current monthly cerium usage has improved with efforts to better control and monitor it, such as minimizing its use in mixing polishing slurries while at the same time limiting the use of slurry in the polishing machines. The company currently uses a total of 600 kg of cerium per month, of which approximately 50 percent is recycled. With the recent advances in collection and reclamation, as well as efficiencies and cost reduction in reclamation, the company expects to see a potential cost saving in the area of 25 percent this year with these recycling efforts. This is based on a current collection efficiency of around 80 percent (a 100 percent increase, which reaches the long-term goal) and reclamation efficiency near 55 percent (an 83 percent increase, closer to the 80 percent goal). Annual disposal fees have been cut nearly in half – from $8200 in 2012 to $4400 in 2013. Improvements to collection and recycling are visible over time. Photo courtesy of Sydor Optics. The polishing performance of recycled cerium has proved equal to, or perhaps slightly better than, virgin cerium. 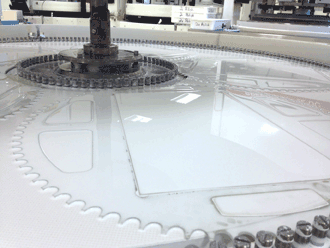 The cerium particle does not break down significantly during the polishing process. Similar polishing stock removal rates have been noted, along with a slight improvement in surface roughness, which has been attributed to the singular-mode particle distribution of recycled cerium slurry (as compared with the bimodal particle-sized distribution seen in virgin cerium slurries). This tighter distribution was accomplished with filtration during the reclamation process. The cerium reclamation process. Photo courtesy of Sydor Optics. In 2013, funding from the Department of Energy and New York State Empire State Development allowed the University of Rochester Laboratory for Laser Energetics (LLE) to acquire advanced separation equipment and join the FCR-Sydor reclamation effort. The LLE designated FCR as a research subcontractor for the three-year project. In the first year, LLE senior scientist Dr. Stephen Jacobs and undergraduate optics major Tess Jacobs (no relation) provided FCR with slurry-property analysis, and developed repeatable and consistent characterization techniques for slurries during different stages of reclamation. LLE has also conducted glass-polishing experiments to validate the high degree of polishing performance of the reclaimed cerium oxide on optical products. That chemical analysis of the slurries has helped FCR and Sydor develop a more efficient recycling process. It has also assisted in the design and fabrication of slurry collection units used every day with double-sided polishing machines. Through the combined efforts of FCR and LLE, the cost of recycling slurries has decreased over time. A manufacturing technician makes chemical additions before separating cerium oxide polishing particles and specks of glass. Photo courtesy of Flint Creek Resources. 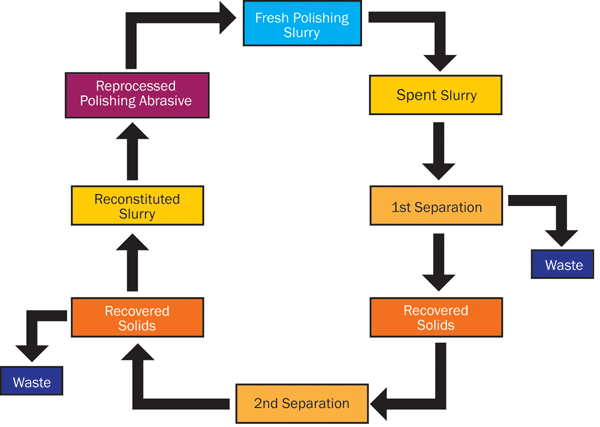 FCR’s proprietary slurry collection and reclamation method involves chemically enhanced mechanical separation of the cerium particles from the waste materials. The equipment currently has no minimum batch size; the maximum batch size is 50 gallons. 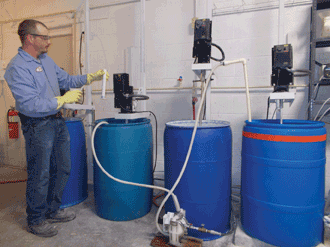 The entire process takes six hours for a full batch of 50 gallons. These research efforts have also led to the development of virgin polishing powders engineered specifically for ease of reclamation. FCR manufactures and markets these as ECHO T-5 and T-8 glass-polishing compounds. The process and its results were presented in April 2014 at the University of Rochester Center for Emerging and Innovative Sciences Technology Showcase. The reclamation process for cerium-based slurries is being continuously refined and improved through joint experiments with LLE and the purchase of additional equipment by FCR. FCR has provided Sydor with a small fleet of portable slurry collection units, which have helped increase shop-floor spent-slurry collection between 40 and 80 percent while minimizing waste discharge to drain. DOE dollars invested in equipment have increased FCR’s efficiency in its reclamation process and enabled FCR to handle larger volumes of spent slurry. 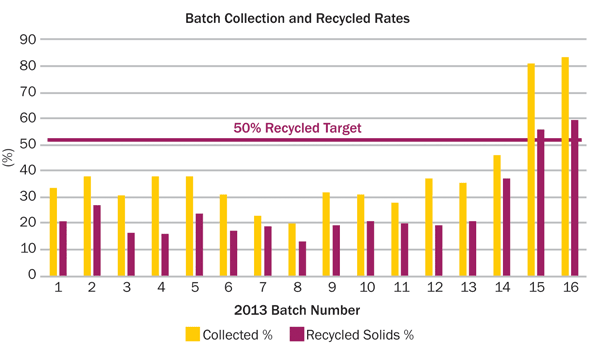 The goal now is to achieve zero drain discharge while improving recycling efficiency to greater than 80 percent. This year, FCR will offer this service to other companies. Spent slurry analysis is currently in process with one customer, with two more expressing interest in the recycling process [FCR believes they should be anonymous]. FCR has also started expanding the scope of recycling efforts from cerium-based slurries to other materials, such as diamond-based polishing slurries. New chemistries will need to be developed for the reclamation of more complex spent slurries. As for the future, the DOE funding is allowing FCR to design a POP (process on a pallet) system that could be leased to companies to recycle their polishing slurries on-site, which will save on shipping costs. FCR has plans to build a prototype in mid-2015. Michael Naselaris is general manager at Sydor Optics; email: mike@sydor.com. Zachary Hobbs is a process engineer at Sydor Optics; email: zach@sydor.com. For more information about Flint Creek Resources, contact Mark Mayton at mmayton@flintcr.com. Work done by T. Jacobs, S. Jacobs and M. Mayton was supported in part by the U.S. Department of Energy under Award No. DE-EE0006033, by the DOE National Nuclear Security Administration under Award No. DE-NA0001944, and by NYS Empire State Development under Award No. C120177.